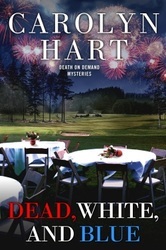 Hart returns to a beloved character and the mishaps that inevitable follow Bailey around and pens a very entertaining paranormal mystery with many laugh out loud moments. Bailey is in more trouble that usual when she discovers heaven didn’t send her to help Nick. His deceased aunt is the reason Bailey is stuck in Oklahoma. With so much at stake, it’s a good thing heaven’s best detective is on the case. 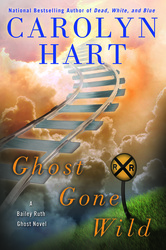 Ghost Gone Wild is another clever addition to Hart’s “spirited” series! 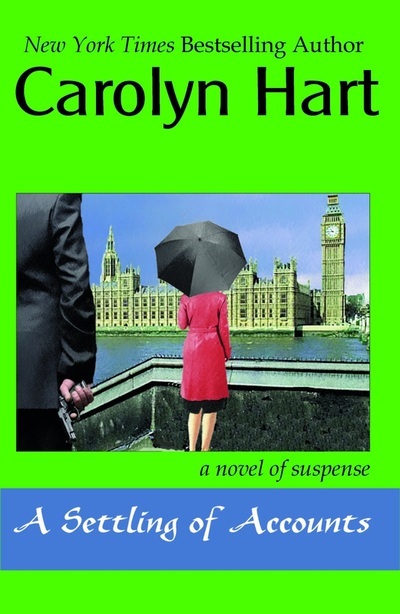 Author Carolyn Hart has done her usual in writing another fun-filled story of suspense, murder, humor and spirits. Oh, did I forget to tell you that Bailey Ruth is a ghost? From time to time she is allowed to descend upon earth to help a person in danger. This is normally done through Wiggins but in this case the person, or should I say ghost, that sent Bailey Ruth to earth is Dee, Nick's aunt who decides she has to keep an eye out and make sure Bailey Ruth does everything correctly to save her nephew. Problem is, with Dee being the one to send Bailey to earth, she has no control over her abilities to appear and disappear, so once Bailey Ruth appeared, she was unable to disappear and with Wiggins not knowing of her descent, she became OF the earth and not ON the earth. This series is one that I keep an eye out for the next Bailey Ruth story to hit the shelves. The characters are always so real, including Bailey Ruth, to the point that you actually feel that you know them as neighbors. Now I "patiently" wait for the next volume to see what Bailey gets herself into next. Bailey Ruth is trapped on earth, with no money, no ID, and worst of all, in her opinion, no change of wardrobe. And, she's stuck with an angry young man who returned to his hometown to get revenge. But, someone is determined to cause trouble for Nick, and his long-running feud with a former high school enemy can only end up in tragedy. Bailey Ruth has to rely on her her own ingenuity, although sometimes Dee is a reluctant assistant. Nick may be obnoxious at times, but he doesn't deserve to be framed. 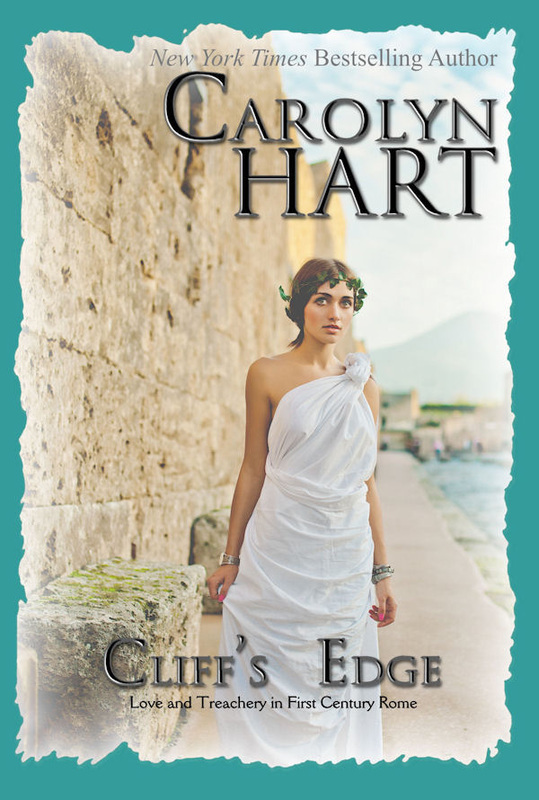 Carolyn Hart always finds new ways to surprise readers. If it isn't a ghost as a sleuth, it's another ghost riding in on a black horse to try to save the day. Ghost Gone Wild combines humor with an intriguing mystery. Why is someone out to get Nick Magruder, and who is the real killer? In this case, the humor adds so much to the story. Bailey Ruth and Dee bicker throughout the story; Bailey Ruth can't rely on Dee to be there, and they make an unlikely team. Despite her plans to send Bailey Ruth to earth, Dee is a stickler for the rules, Wiggins' Precepts for Earthly Visitations. Bailey Ruth can easily break three of the Precepts in her first twenty minutes on earth. And, then there's Bailey Ruth's preoccupation with her appearance and her wardrobe. She delights in the ability to change her wardrobe on a whim, and her inability to change her clothes is probably her biggest complaint about being earthbound. And, Bailey Ruth interacts with people on earth in ways that Wiggins' would never approve. 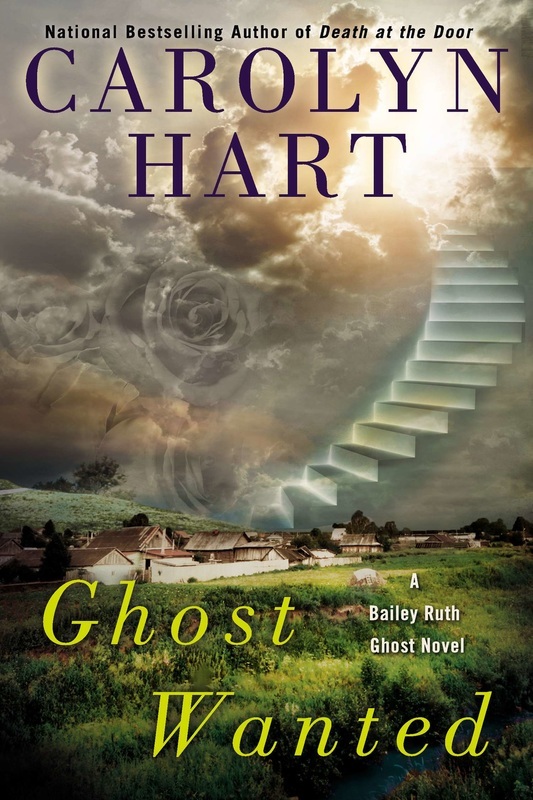 The Bailey Ruth stories play with the form of crime fiction in a delightful manner, allowing Hart to add amusing supernatural elements to the sharp plotting and social observation in her other novels…. A premise that might sound rather twee — as the Brits would say — has enabled Hart to add hefty dollops of “Topper” and “Heaven Can Wait” to the screwball supernatural humor the author finds in Bailey Ruth’s visits to Oklahoma. Ghost in Trouble is a fun book, starring the most delightful ghost you are ever likely to meet. She’s smart, too. Not since Clarence Oddbody (It’s a Wonderful Life) and the ghosts of Christmas Past, Present and Future (A Christmas Carol) has there been a more charming character than Bailey Ruth Raeburn in MERRY, MERRY GHOST written by Carolyn Hart…. MERRY, MERRY GHOST is a well-constructed mystery that will keep you guessing. The story, while dealing with serious subject matter, is leavened with a blend of wit and nuances of the supernatural. 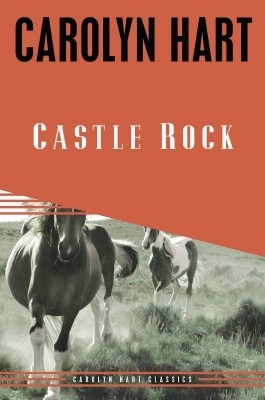 Bailey Ruth is a likeable, reliable narrator, and the ingenious strokes by which Carolyn Hart paints her protagonist, flaws and all, make her an incredibly fun super sleuth to pal around with on the page. Bailey Ruth loves fashion and good food and, having been given the power to make herself visible and invisible to achieve her ends, she cleverly stuns members of her old hometown with wry hilarity. A lighthearted mystery cozy-lovers will appreciate, previously published in hardcover. Merry, Merry Ghost Carolyn Hart. There aren’t many heavenly rules that impetuous ghost Bailey Ruth Raeburn won’t overlook, if not break outright, to help her human charges. Hart’s celestial messenger is a hoot; funny, outrageous, fashion conscious (even a ghost has to look good, whther she’s seen or not), and readers will chuckle out loud at her antics in this heaven-sent Christmas mystery. An entertaining addition to your holiday reading. 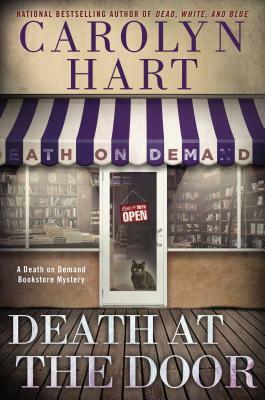 A ghost turns sleuth in the intriguing first of a new series from Hart (Death on Demand), who’s won Agatha, Anthony and Macavity awards. When Bailey Ruth Raeburn and her husband die on their cabin cruiser during a storm, Bailey joins the heavenly host. Later, she returns to earth via the Rescue Express to her hometown of Adelaide, Okla., to help the rector’s wife, Kathleen Abbott. After finding the body of a dead man on her back porch, Kathleen fears either she or her husband might be accused of the crime. Bailey Ruth helps her to move the body, inaugurating a search for the killer that proves difficult as the victim was despised by many. As Bailey Ruth uncovers more than one crime, she must contend with her own violations of the Precepts for Earthly Visitation and adjust to her powers on earth. 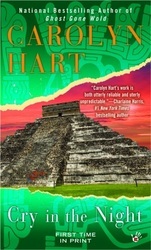 Hart blends an enjoyable fantasy with realistic characters and an engrossing plot that’s sure to charm even ardent materialists. Carolyn Hart has written many entertaining mysteries over the years. 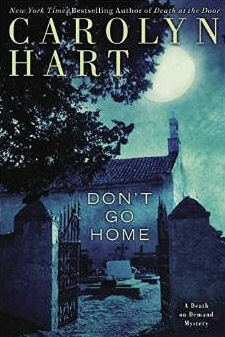 She has written a clever mystery with Ghost at Work by incorporating the idea of Heaven´s Department of Good Intentions. Carolyn Hart is one of the best at writing the cozy mystery and this one has everything needed to make it successful – humor, suspense, and great characters. Bailey Ruth is a very likeable character that will keep the reader interested in her antics. Ghost at Workis a novel all mystery fans will want to add to their reading list. The book ends with “Next time…” which means we will be hearing from this ghostly sleuth again in the future. We can only imagine what Mr. Wiggins will have Bailey doing for her next assignment! 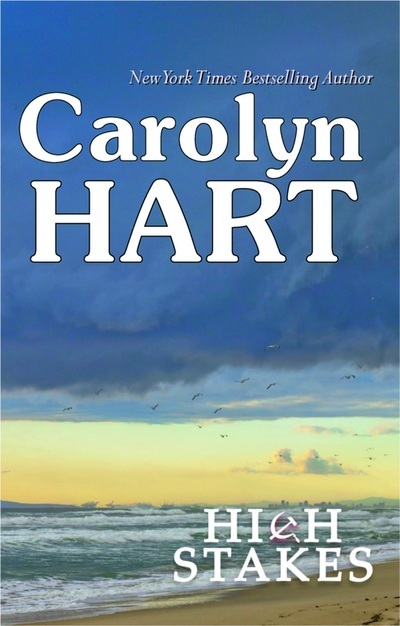 It looks like Carolyn Hart has a new, must-read series. Enjoy! Armchair Interviews says: Author Carolyn Hart spins a fun tale with this unique main character. 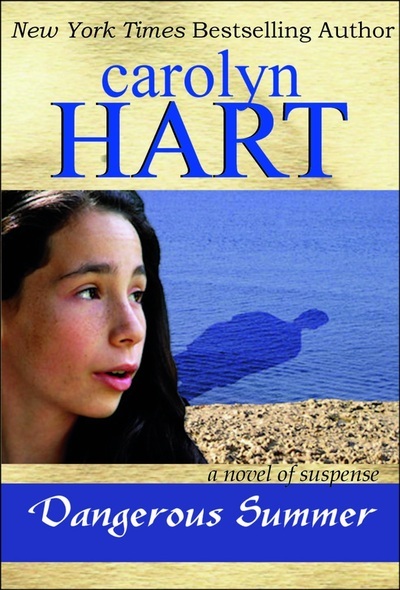 Author Carolyn Hart has done it again with her Bailey Ruth series. I’ve followed her with the first book Ghost at Work. Then on to Merry, Merry Ghost. 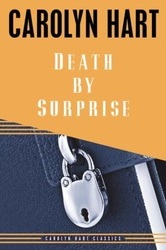 Carolyn Hart has again combined murder, mystery and humor to create yet another light hearted read with Ghost in Trouble. And I have to admit, she surprised me with the ending. By page 85 I just knew I had discovered the killer. I changed my choice around page 240 just to find out at the end that I was wrong in both cases.